Cuốn sách được in theo bản chép tay đầu tiên. 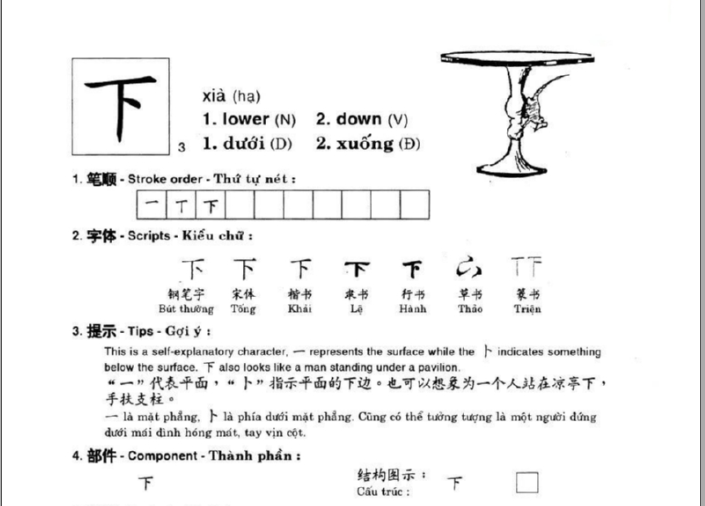 Intended for English speakers，Learn Chinese Through 100 Sentence Frames is a book featuring commonly used Chinese sentence frames displayed in semantic categories.The book is organized into ten different topic areas that readers will find useful to know about when traveling or living in China，with each topic including ten practical sentence frames. The readers’k nowledge of the Chinese language can be very basic or even nonexistent，but while learning the language，they can conveniently substitute related vocabulary into the sentence frames of each topic， thus creating new expressions for their individual needs.